Come join the Guam Head Start Program as we MOVE, LEARN and PLAY! Help us promote health and wellness by encouraging exercise for children ages 2 to 10 years old. Our Fitness Fair will consist of various Community Partners sharing information on their program and services. We will also have fitness stations with various activities for children to enjoy throughout the event. Contact the organizer at info found below and on flyer to sign up. 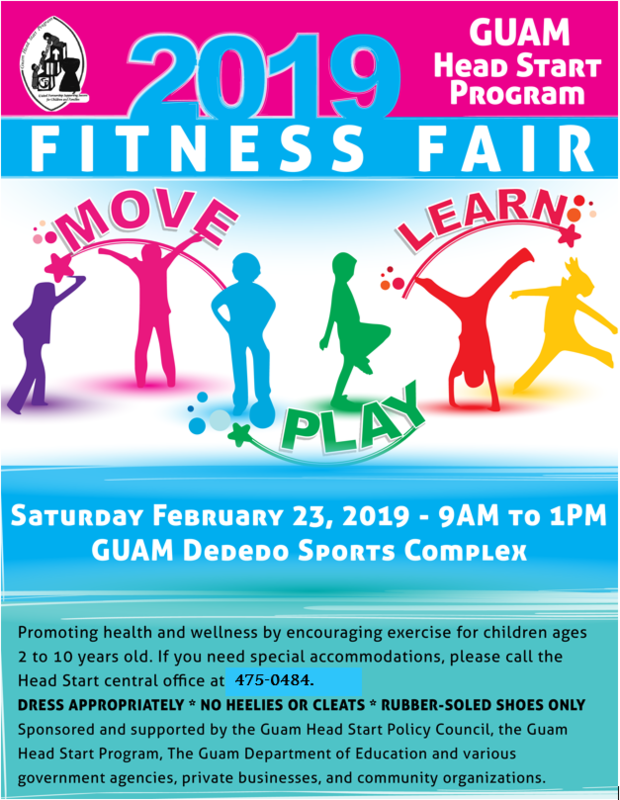 Get a good night’s rest, eat a healthy breakfast, visit the Guam Head Start website at guamheadstart.gdoe.net to read and learn more about what we do, the services we provide and the families we work with. You will be assigned a station. Follow instructions that the organizer provides and also the station lead. In general, these are the goals for the day: to help families stay informed of programs and services available in our community; to assist families by promoting health and wellness through the power of exercise and play and; to assist children as needed in participating in fun activities. In order to earn service learning hours, a reflection needs to be turned in to a teacher who can input the hours into Power School. You need to address: What did you do? What did you learn? How was this an example of public service? Also, reflect on: Did you know what the Guam Head Start Program was prior to this event? Were you aware of the various services and programs our community has to offer? Are you aware that children between the ages of 2 to10 years old learn as they play? 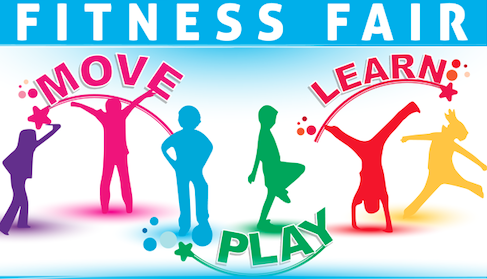 What impact do you think this Fitness Fair had on the families who attended today’s event? Did you find this event to be productive in keeping the families in our community aware of the services being offered? The objective is to promote family health and wellness through play and to increase awareness of the community programs available in our community. Standard 8: Health Advocacy Demonstrate the ability to advocate for personal, family, and community health. HS.8.3 Work cooperatively as an advocate for improving personal, family, and community health. HS.8.5 Employ life skills that promote healthy, productive, and functional lives.